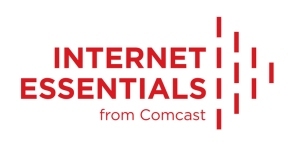 Comcast Corporation announced a pilot program that will extend Internet Essentials to more than 90,000 low-income community college students who are Federal Pell Grant recipients in Illinois. According to the National Center for Education Statistics, community colleges enroll as many as 40 percent of all college students each year. As low-cost, open-access institutions, community colleges serve a high percentage of non-traditional students, including those who are low-income, are financially independent, have dependents, are first generation, and are older. According to research, an associate degree increases the chance of being employed by 12 to 15 percent for men and 20 percent for women. In addition, according to the Community College Resource Center, an associate degree increases average earnings compared to a high school diploma by 13 percent for men and 21 percent for women. In 2012, the American Association of Community Colleges estimated community college graduates added $809 billion in income to the U.S. economy in higher wages, increased productivity, and multiplier effects. Additionally, according to an Illinois Community College Board report, completing a community college program increases lifetime earnings by 44 percent, or over $570,000, compared to those who do not complete a program.